Well, I did it. I watched the whole thing. A few weeks ago, I wrote (well, ranted) about my impressions of the first two episodes of Inhumans. 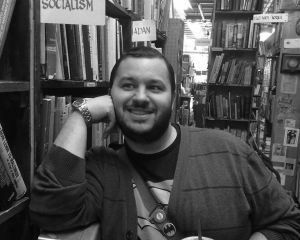 I’m not, frankly, all that confident I have much to say about the thing as a whole that’s terribly different from what's in that piece, but let’s give it the old college try (at the worst, I’ll exercise my demons and you call can roast me about it in the comments). And, man…this thing is just a mess. It’s not even an interesting mess or a mess with promise, it’s just a boring mess, and that’s probably the most damning thing I can think to say about it. Nothing here holds together, it barely makes sense even from moment to moment and the sense that this is a total failure of a project seems to permeate every level of the production. Inhumans focuses on the Royal Family of Attilan, a secret society of superpowered beings who live in a hidden area of the moon. The king, silent Black Bolt, is overthrown by his nonpowered brother, Maximus, along with the rest of the ruling family, who are scattered to Earth and must find each other and formulate a plan to retake the throne. Other members of the family include Medusa, the queen with hair she can control like prehensile tentacles; her sister Crystal, who controls the elements; Lockjaw, a giant dog who can teleport; Gorgon, whose hooves can cause powerful localized earthquakes; Karnak, who can see (and exploit) the flaw in anything; and Triton, a merman. The series follows each member as they explore the unfamiliar planet, finding friends and enemies along the way. 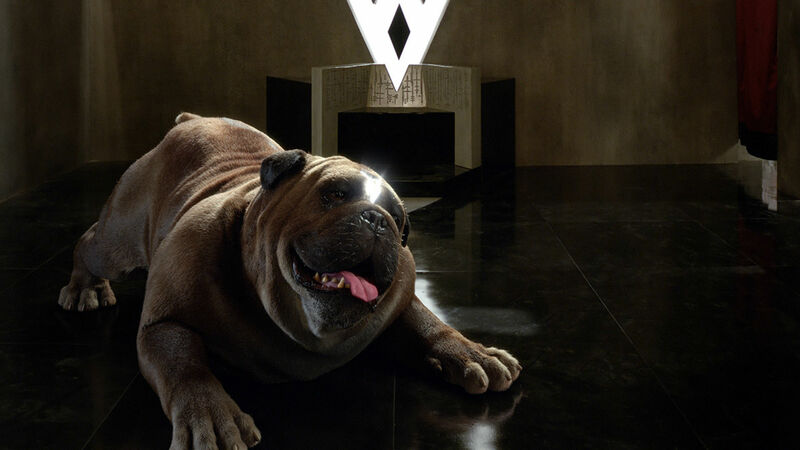 Actually, it’s a bit fortuitous Inhumans has wrapped now, immediately in the shadow of the Marvel Cinematic Universe’s big winter release – Taika Waititi’s Thor: Ragnarok – and I find myself comparing them, if only on a superficial level. Trying to avoid spoiling either, both are centrally about royals being exiled from their home due to the machinations of a malcontented relation, and the exiles’ journey through an unfamiliar land to reclaim their home. The two works even reach similar conclusions about the nature of their respective homes as geographical locations. Of course, Ragnarok is a work that builds to that conclusion from the start of the movie (though certainly not flawlessly) with a hell of a lot of charm along the way, while Inhumans seems to get there largely by accident, with all the grace of someone trying to get through a maze while blindfolded and drunk. Granted, I don’t think this is in any way intentional and it only works at a basic level, but it's an interesting comparison – there was a way to tell this kind of story with clarity of intention and heart, and then there's the way Inhumans tells this kind of story. Watching Inhumans feels a bit like experiencing a fever dream. At any given point of the show’s eight episodes, recalling anything that’s happened before is near impossible and you’ll look at the screen and ask yourself “wait, why is this happening?” Why does Karnak spend half of the series running around with, and then running from drug dealers? Did Gorgon really spend several episodes with chill surfer dudes who were also commandos who were also willing to help him fight a war 20 minutes after meeting him? Wait, that’s what you’re gonna do with Crystal? Tension, pacing, coherent storytelling - these are concepts seem wholly foreign to Inhumans for the entirety of its roughly 360 minutes of runtime. I've written in the past about how Maximus’ plan hinges on the exploitation of a class divide in Attilan – in short, anyone who doesn't get cool enough powers gets to go work in a moon mine – and what the persistence of that structure up to the point of the show said about the purported heroes of the rest of the royal family. All of that still holds true, but as the series goes on it becomes less of a concern, eventually becoming nothing more than a few offhand mentions. So in Inhumans, we have a story which at first seems somewhat interested in interrogating some kind of class issues, but can't be bothered to explore how that might look. We get a handful of dialogue moments across the series alluding to the fact Maximus is popular with the people who’ve been forced into the space mines because, I guess, some of them have weird arms instead of cool tendril hair or whatever, but we never really get a sense of what life in Attilan is like before or after the coup, anything about Attilan culture beyond "we get powers," or what a Maximus in power actually means for anyone he isn’t trying to kill. You don’t need to spend tons of time digging into this stuff in order for this story to work, necessarily, but if you’re going to try and sell a story hinging on overthrowing a government with the support of an oppressed underclass, you need to do more than just tell us people are upset and then later tell us people are happier. 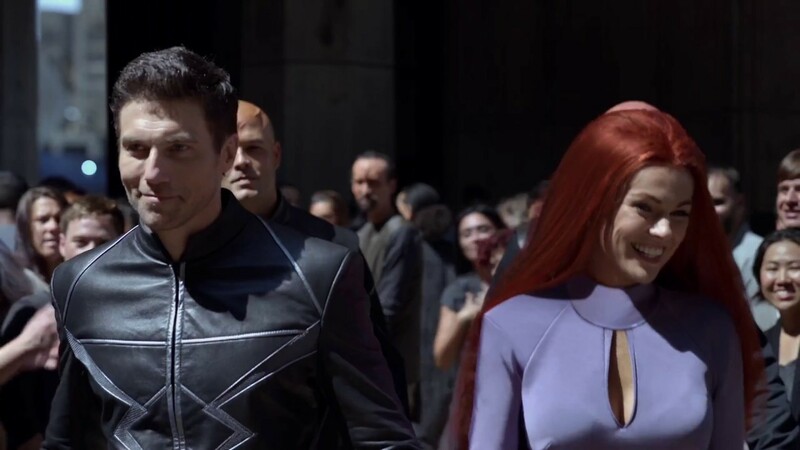 Inhumans confirms the suspicions I had after the premiere – the apparent systematic oppression in Attilan is nothing more than set dressing to justify an inciting incident, which feels like a flippant way to handle that kind of a story. We’re only here to tell a milquetoast palace intrigue story, and we’re not interested in interrogating whether our protagonists are good people or tyrants. Inhumans doesn’t seem to recognize that the royal family is anything but a quirky but objectively benevolent group of people, and the characters barely recognize there might have been anything wrong with the way things were, or indeed grow in any way, over the course of the series. Each actor proves seemingly incapable of turning in anything resembling a compelling performance or selling the extremely rare emotional moments Inhumans tries to sell. For example: A revelation late in the series leaves Medusa angry with and distrustful of Black Bolt, at least on paper – but almost nothing about the performances would tell you that's actually how these people feel. Serinda Swan apparently chooses the same baseline state of “mild annoyance” she has for most of the series in response to this deep betrayal, and nothing can shake Anson Mount from his tried and true “wild eyes, pursed lips” move that seems to be at the center of his performance for all eight episodes. Granted, the writing certainly doesn’t help any of it, as this potentially world-shaking reveal is treated with the same sense of import of a friend being 20 minutes late to coffee (not to mention the revelation centers on a character who, thanks to the sloppy construction of the series as a whole, was all but forgotten entirely until they waltz back on screen). But this is emblematic of the entire ensemble – when they don’t seem to be sleepwalking through their roles they’re making choices bordering on baffling (I’m not sure if Ken Lueng only has one setting or if Scott Buck said, “no, I liked what you did on Lost, just replicate that exactly,” but it’s a wild choice for a character like Karnak). Look, let’s get real here: At least some of this disaster is due to Inhumans being set up to fail. It’s a castoff from the movie side of the MCU, a symptom of a larger, perhaps ill-conceived push to give Inhumans as a brand a higher profile across all of Marvel. It seems clear that Disney and Marvel were trying to recoup whatever losses they incurred trying to get this thing off the ground as a film. In Scott Buck, it’s saddled with a showrunner who seems to have made a career by being the definition of “not particularly talented guy who manages to fail upward,” and doesn’t seem at all interested in doing anything but the bare minimum to get the thing done. It also doesn’t appear that Inhumans had any significant budget to speak of. 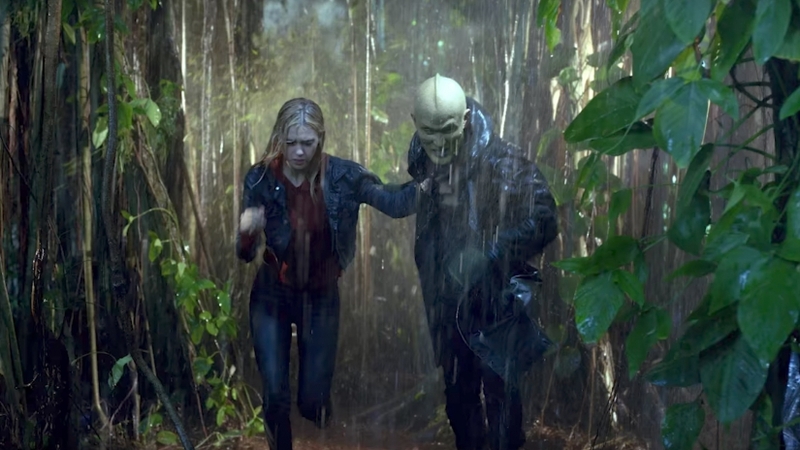 Exotic locales look like they’re made of styrofoam and cardboard, the show does whatever narrative yoga it needs to do to strip characters of their powers almost immediately, and what special effects are there look like they were done with basic SFX software. Inhumans was damn near destined to fail, and it fulfilled that destiny with flying colors. Whatever the reason, Inhumans is a work with almost nothing of value for anyone. It’s not even an interesting train wreck. It’s just a boring, lifeless slog easily shooting to the top of the list of the worst things the MCU has produced in its near-decade of existence. Ratings would suggest everyone has already done this, but: Stay away. Life is too short and your time is too valuable. Don’t make the same mistakes I did. Live your life and be happy.